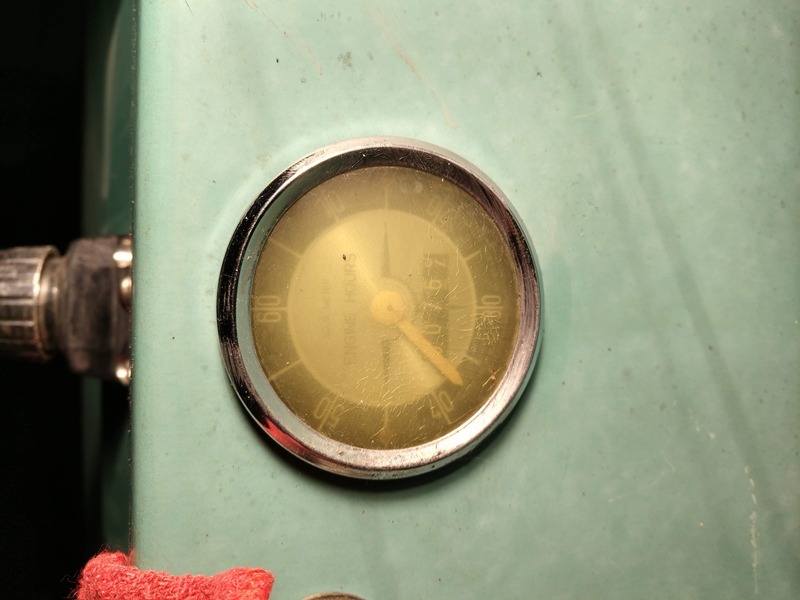 I just purchased and starting to restore a 1969 Crestliner Pirate and I am having a problem reading the hour meter. I have an idea but I am trying to be sure I am reading it right. I'm fairly new to the whole thing and I can not find any information on this particular meter. Is anyone able to describe how I actually read this? The number display in the middle is understandable but I don't understand how the numbers on the outside ring are to be read. If memory serves me right, the needle acts as a clock counting the minutes, hence 0 to 60. One revolution equals 1 hour. Here's a suggestion. There should be two wires leading into the back of the meter, right? Maybe a third wire for a light. One should be (+) the other (-). The meter itself is just a motor that runs gears. If you have a spare 12 volt battery connect the meter + to battery + and - to battery -. The large needle should start turning albeit very slowly. Leave it connected for an hour and the needle should make one rotation. Mark down the small number and see if it advanced an hour.